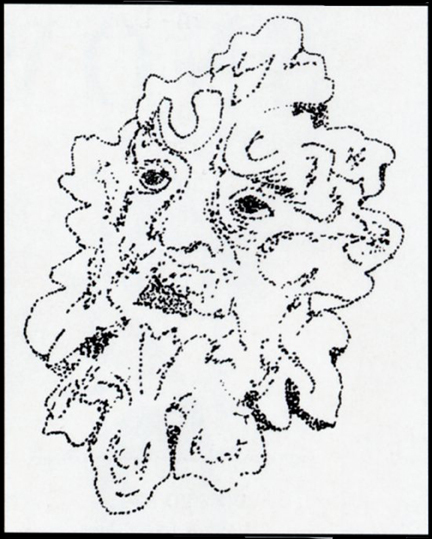 The Green Man is an archetype symbolizing humankinds reemerging awareness of its interdependence and unity with nature. Robin Hood is only one of the many forms in which he is found. He often is seen sculpted from wood and stone in churches and furniture of Europe and is predominately rooted in Western culture. His form is represented as a composite of at man's head and leaves. For more information about the GREEN MAN Refer to Green Man: Archetype of our Oneness with the Earth Pub. by William Anderson and Clive Hicks; Pub, Harper Collins, 10 E. Third Street, New York, NY 10022. Cover Photograph by Lee Weaver Acton, MA. & Craig Harris Brighton, MA. 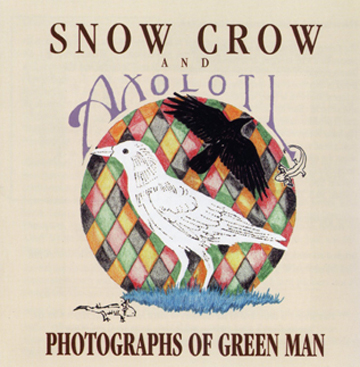 Original art work for cover and Green Man Drawing done by Dan Fassett and Ray Merkh, Groton, MA. This project is dedicated to the memory of Mark Ashe and Lilly Zigler, who are special friends gone, but still leading me upward and onward. General Production - Dan Fassett. Recorded between February, 1989 & December 1993. All tracks except #1 and #12 recorded at The Bunkhouse, Portsmouth, N.H.
(# 2, 4, 6, & 9) mixed at The Bunkhouse, Jim Tierney Engineering and Production. Additional editing and mixing on #3, 5, 7, 8, 10 & 13 done at Tom Hanson Studio, Groton, MA. Tom Hanson and Jim Tierney Engineering and Production. #1 recorded and mixed on 16-track digital at One Language Productions. 42 Larch St., Brighton, MA 02135, Ph. # 617-254-5107. Ross Lama, Eric Strand and Tom Hanson - Engineering and Production. Analog 8-track transferred to DAT at One Language Productions. Thanks to my family, Lyssa, Wreath, Dharby; my mother Violet Carpenter and my father Bob Fassett; my brothers Willard and Frank; my sisters Karen, Kolleen and Carmen. Additional thanks go to my mother-in-law Jane Black and the "Black Clan": Dana and Joan, Robin, Kit and Jeff Black; as well as my friends Bennett Black, Brian Keeler, Ross Lama, George Montague, Neal Nemand, Paul and Christeen Rossell, Bill and Connie Tompson, Meg, Helen & Vicki by the Lake, Mark, Deborah and Sarah Judson-Ebbetts, Ray, Nancy & Cam Merk, Joe Eileen and Melissa Tewksbury Louise & Eddie Tsoi, and Jim Tierney for unfailing encouragement, support and guidance. Spccial thanks to all the musicians especially John Elder and Greg Sefner who played on almost every track and guided and supported me all the way and their partners Bea and Carrol Lee who gave them the space to do so. 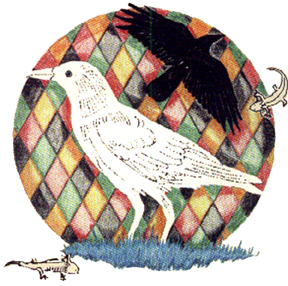 Snow Crow is Dan Fassett and all his friends in their many configurations configurations. Axolotl is John Elder,Dan Fassett, Tom Hanson, Mark Kick, Ross Lama and upon occasion Eric Brown, Bev Rodrigues, Peggy Liversidge, Jerry O'Connell, Karen Wolfe and Nancy Wood.